It uses new information, which involved historic landscape, seascape and farmstead characterisation, aerial photographic mapping and analysis, area assessment of the buildings, detailed survey of key sites and other desk-based research. 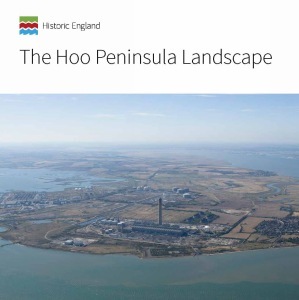 It takes a thematic view of the major influences on the history and development of the Hoo Peninsula and demonstrates the role that the Peninsula plays in the national story. The book is an important step towards changing the perception that the Hoo Peninsula is an out-of-the-way area, scarred by past development, where the landscape has no heritage value and major infrastructure can be developed with minimum objection. Sarah Newsome is a Senior Investigator at Historic England. Edward Carpenter is an Aerial Investigator for Historic England. Peter Kendall is a Principal Inspector of Ancient Monuments at Historic England. ... authoritative and well-presented book ... packed with information, presented clearly and engagingly ... The best protection from unsympathetic development is an understanding of how and why a place has reached its present appearance and economic structure. This is a model for such studies.